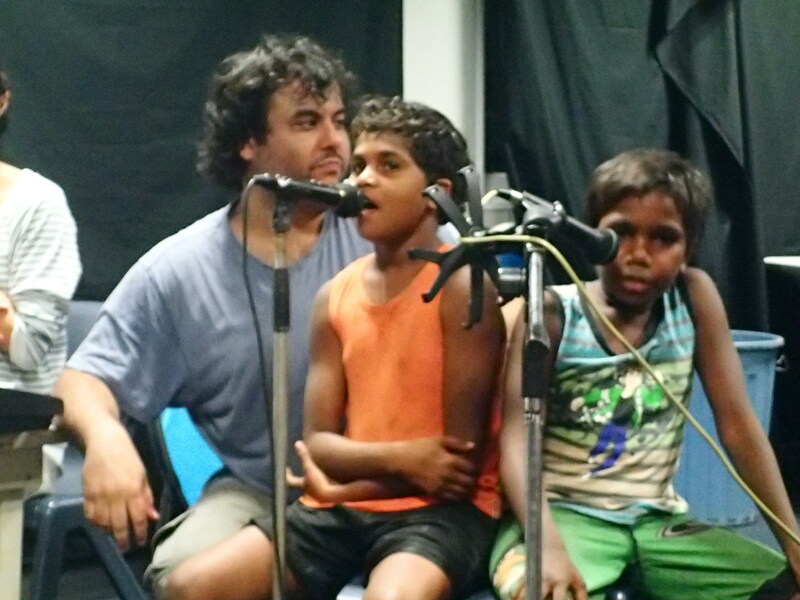 Yesterday was our first day at One Arm Point Remote Community School. We met 7 of the children who are going to be our main music composers for the Tura New Music Remote Residency project here. Everyone arrived at 8am. 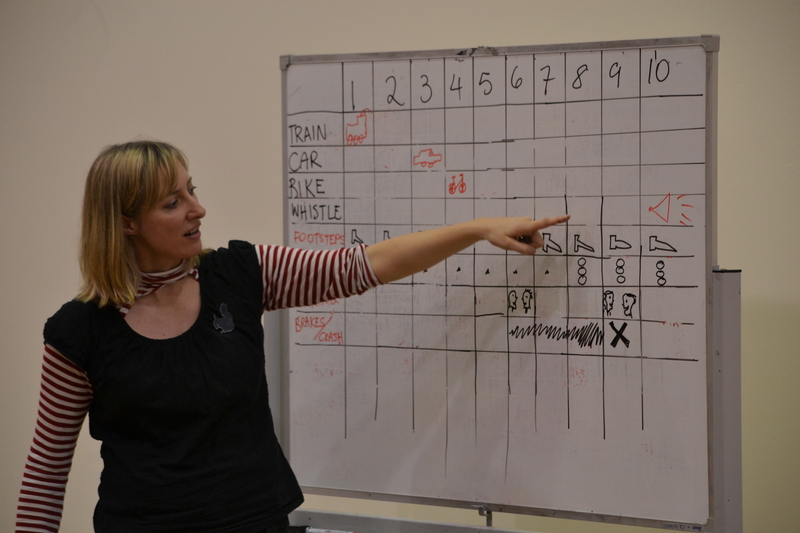 It’s natural for people to feel a bit shy coming into a workshop for the first time, wondering if they will like it, who else will be there, and what they will be asked to do, so we started with names and ice-breaker games, getting everyone relaxed, spontaneous and playful. 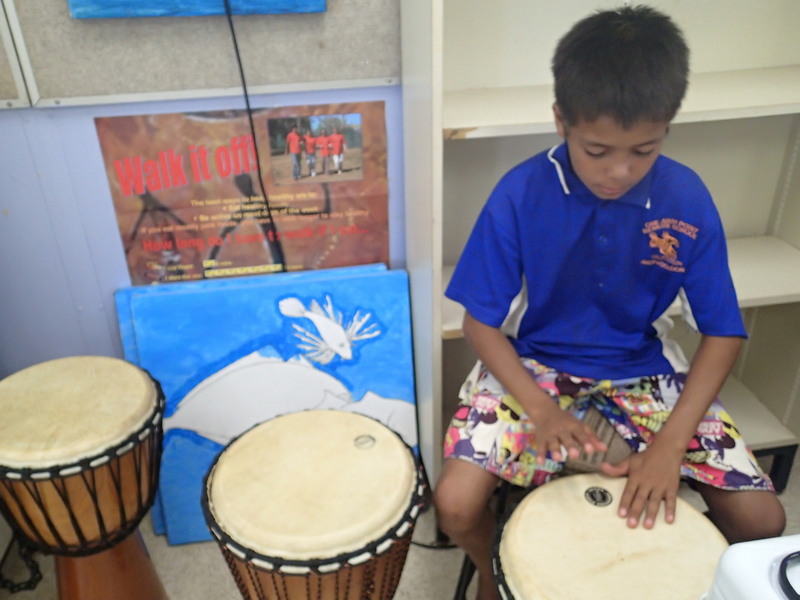 Early on, we learned that everyone was keen to play djembes, so we walked over to the storeroom in another building to collect one each and bring them back to our workshop space. 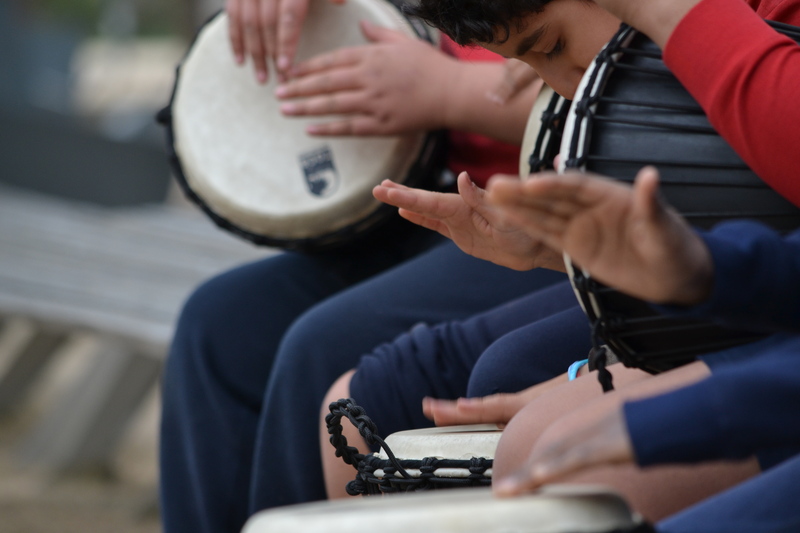 We played rhythms around the circle, noting the inventive approaches that students demonstrated, such as incorporating hand-claps into their patterns. 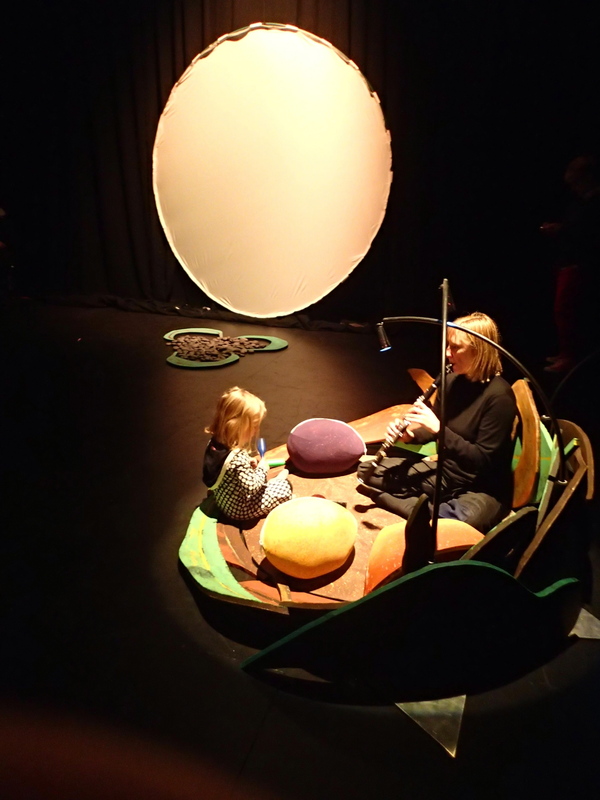 It’s important to get some of the foundations of rhythm established early on, so we spent a bit of time working with regular cycles of beats, using numbers and subdivisions to focus everyone’s attention and to build unison patterns. This generated a cool rhythm that ended with the word “No!” on the 4th beat of each cycle. 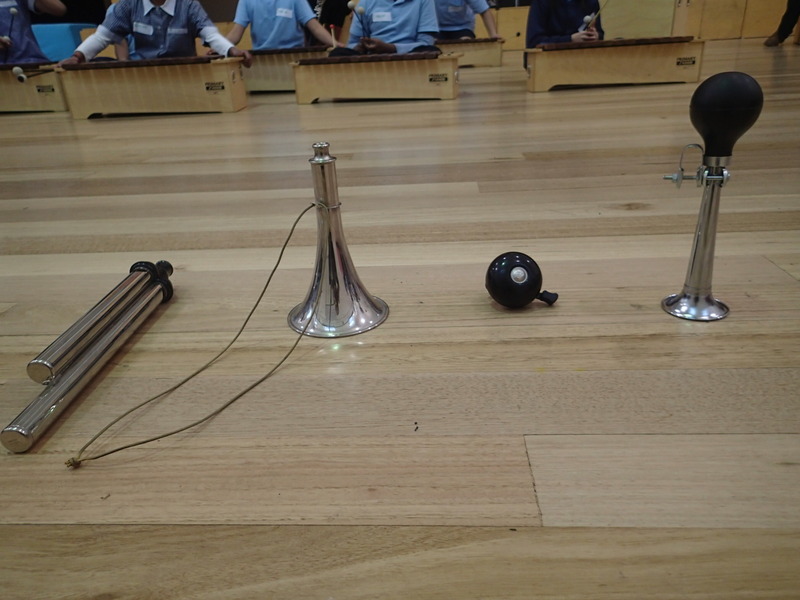 Next we introduced some of the instruments we’d brought with us to share – chime bars (adding to two sets they already have in the school), and wah-wah tubes. People took turns to play these, and we built up another rhythmic pattern, this one anchored with a simple melody on the chime bars and accompanied by guitars. I am pretty sure that this music will end up being in our final concert – it all came together very quickly and smoothly. 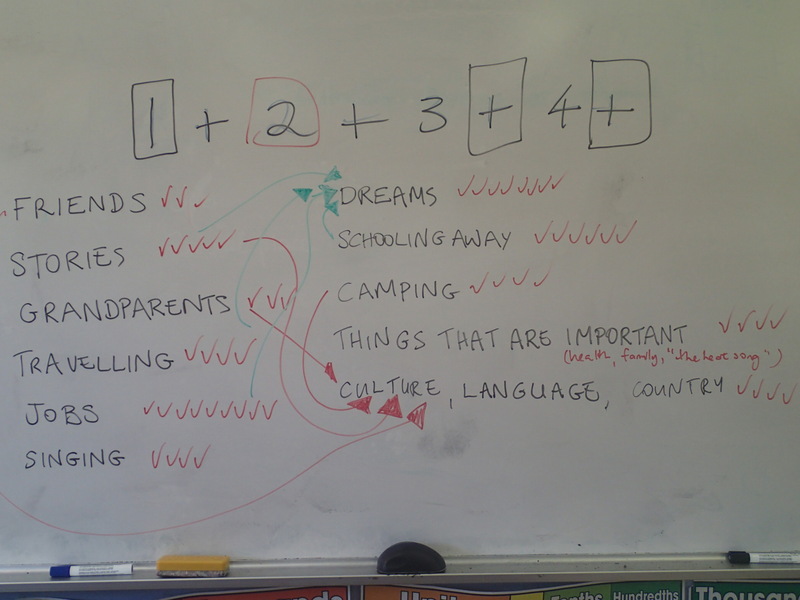 Our main task was to decide what kind of themes we wanted to explore in our group compositions. To do this, I asked everyone to create a “map of the heart”. This is a drawing task in which each person draws a detailed ‘map’ (it can be in a heart-shape, or any shape they choose) that depicts all of the things that are most important to them in their life. The most important things take up the most space in the heart-map. It’s a task that requires gentle facilitation and patience, because often, people aren’t sure how to start drawing their map. But with Tony and I offering questions and suggestions as prompts (“What do you love to do most?”; “Who do you like spending time with?”; “Is there anyone you miss, or think about a lot?”), the maps started to emerge. I never make anyone share their map with others, or talk about the detail they have included if they don’t want to. 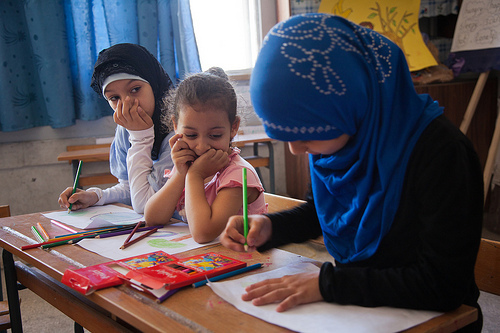 Maps of the heart are personal, I reassure the students, and you can choose who you want to share them with. I want them to feel safe to include whatever they want in their maps. I encourage them to draw and use symbols, as well as words. Metaphor can be a powerful way to express something that is important to you that you don’t want to put into words. 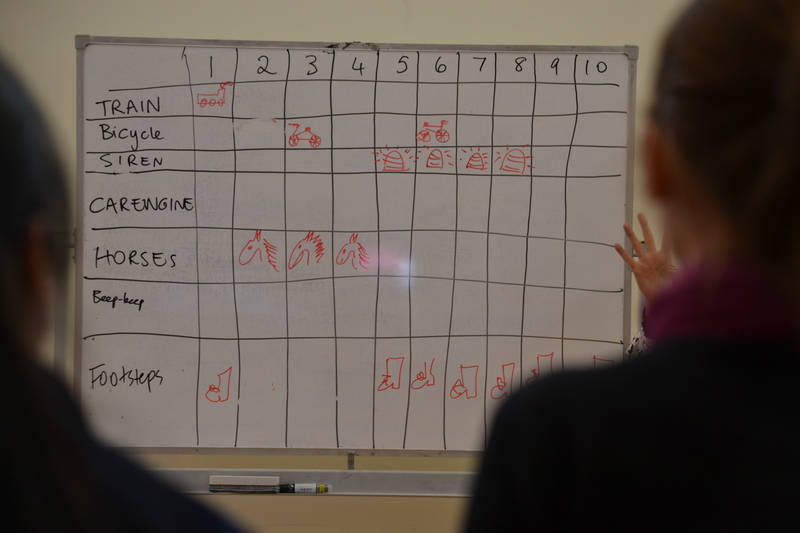 As the maps reached completion, common themes across the group were revealed. I wrote some of the main themes on the whiteboard. We then voted for our favourite ideas. People could vote more than once – why not? 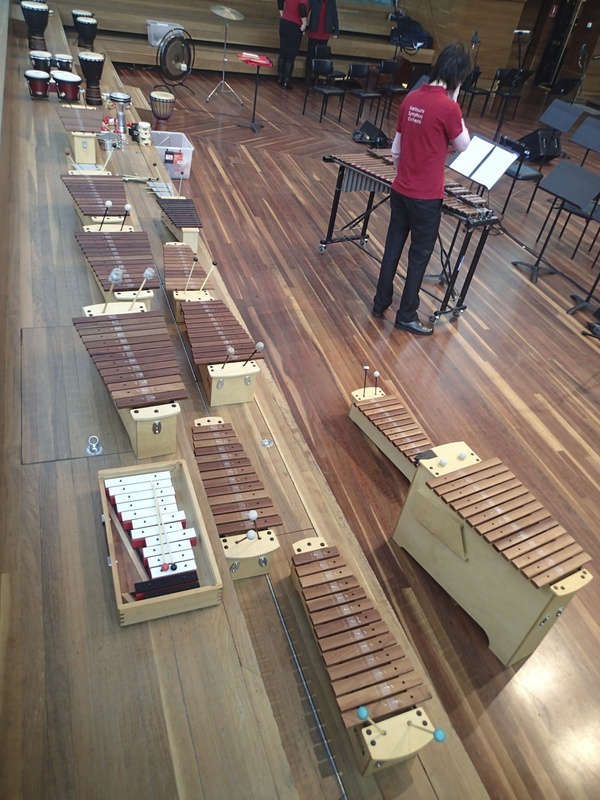 The aim was to find the main points of resonance for the group, and then build our compositions on these. What this process revealed was two broad themes – Future Dreams, and Culture, Language, & Country – into which all of the main Map Themes could be incorporated. If you look at the red and green arrows in the image below, you can see how this started to happen. Our morning workshop included one further creative task. 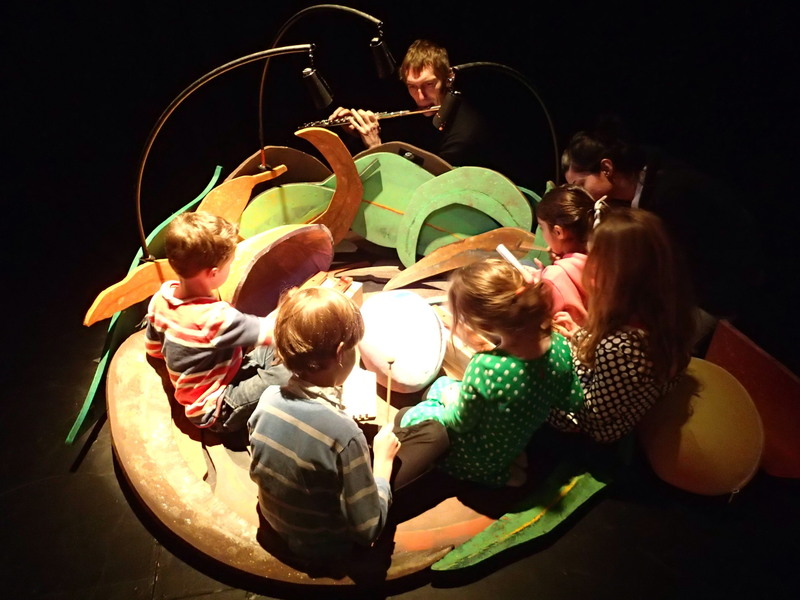 The tubs of instruments brought over to the workshop space by the teacher in charge included several recorders – a treble and 4 descants. We also had a set of 4 guitars. 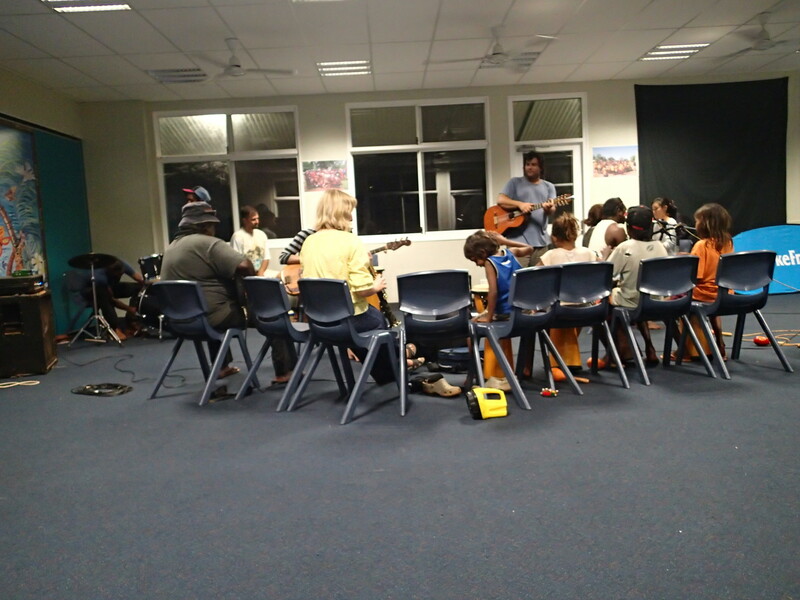 In the last part of the workshop, we divided into 2 groups – a guitar-learning group and a recorder-learning group. Tony took the guitarists outside to learn a couple of good ‘beginner’ chords (we like E minor), while I stayed inside to give a beginner recorder lesson. 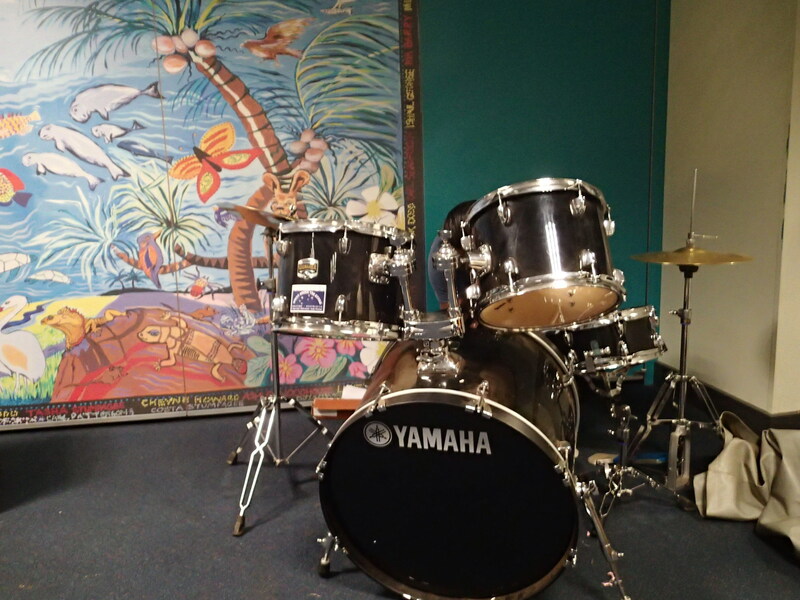 The students chose which instrument they wanted to play. We spent about 40 minutes developing some initial skills and knowledge in the group, then got together to see what we had. And what do you know? The descant recorder notes fitted well with the first of the guitar chords, and the treble recorder notes (a fifth below, using the same fingerings) worked beautifully with the second of the guitar chords. So we jammed together awhile, getting used to the pattern of playing four repetitions, then stopping for four while the other group played, then playing again for four, then stopping for four. And so on. Again, we have the foundations of a group composition here already. 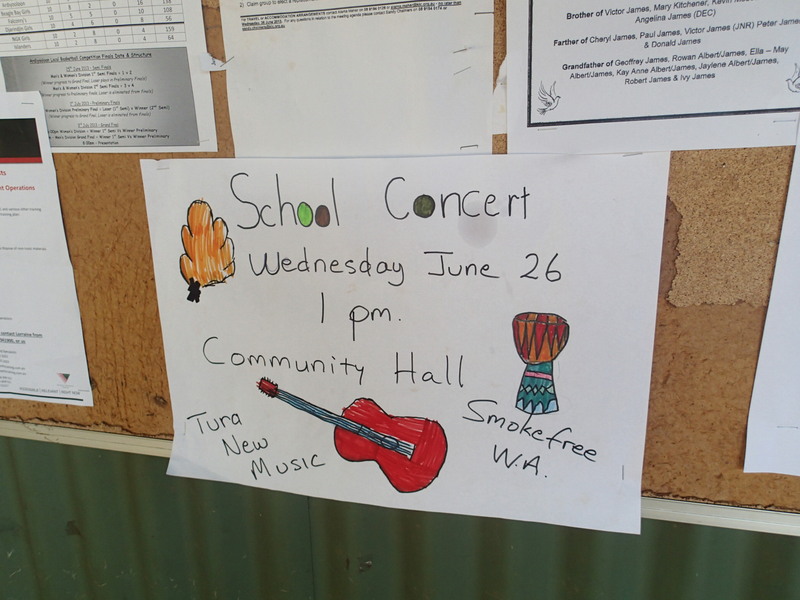 The 2013 Tura New Music Remote Residency program will be at One Arm Point Remote Community School until Wednesday 26 June, thanks to sponsorship from Healthway SmokeFree WA, and Horizon Power. 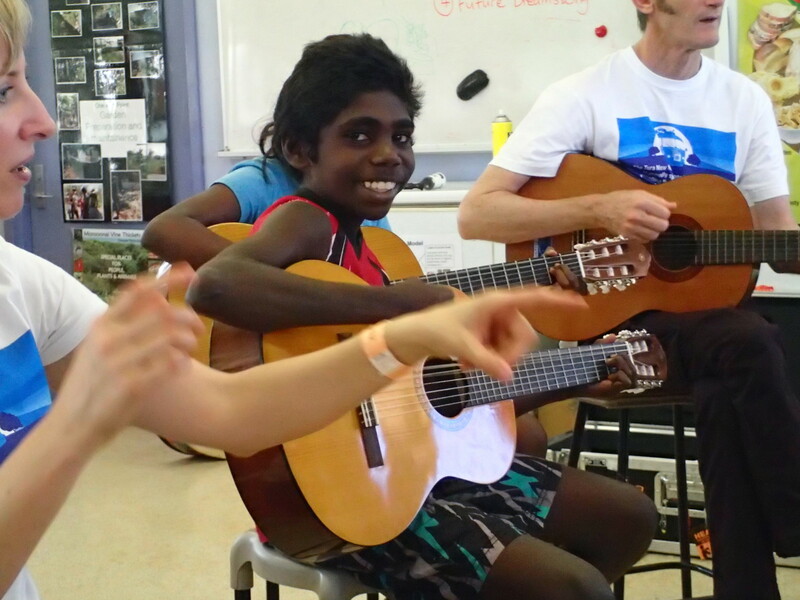 At St Mary’s College we asked the participants (all members of the primary school choir) what they’d like to write a song about. I wrote all their suggestions on the board and put it to a vote. 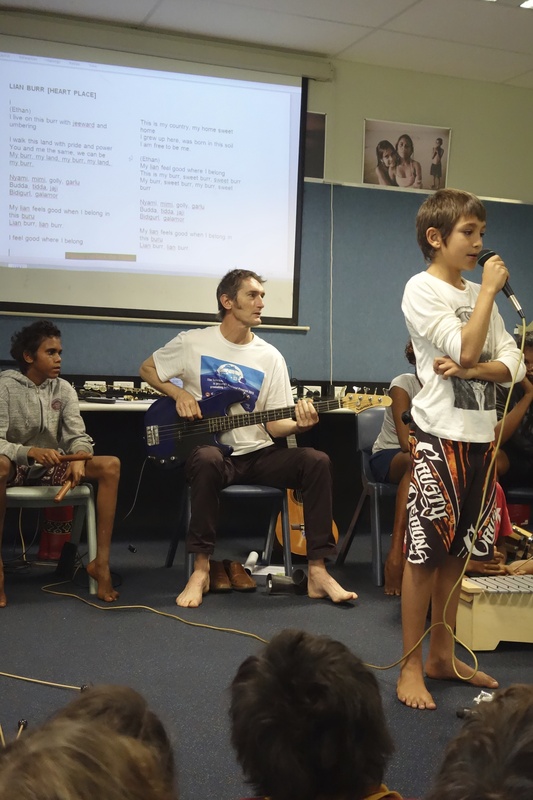 During the voting process we realised that themes like “Broome’s multicultural mob”, “Broome culture”, “the Common Gate” [a part of Broome’s history from the time when the Aboriginal people were restricted from entering the town centre], and “Pearling industry” could all be incorporated into a song about community and history. 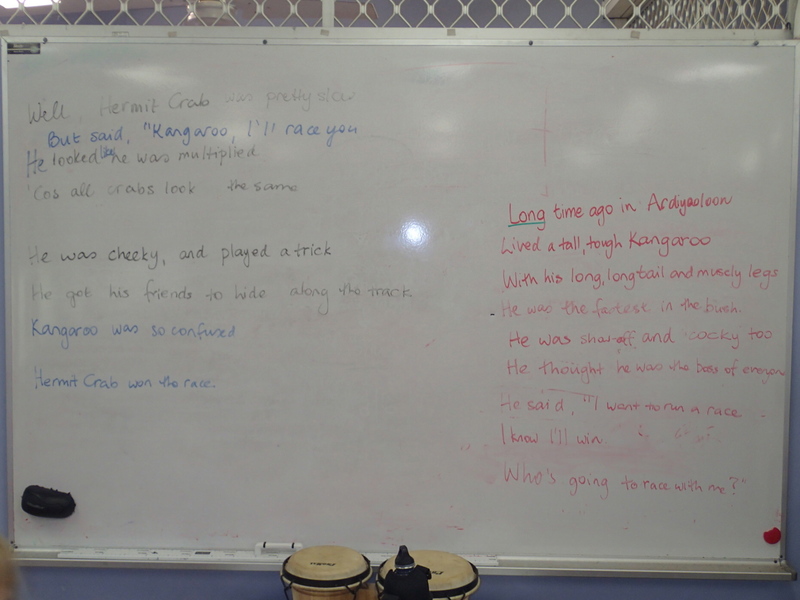 We organised the different broad ideas into verses, chorus, and bridge, and assigned smaller groups the task of writing lyrics for one of these. The choir divided into four lyric-writing groups – 2 groups for verses, one for the chorus, and one for the bridge. Tony and I moved from group to group, asking questions and helping them develop sentences. I asked them to start with sentences first (rather than trying to fashion their ideas into full-realised verses, and risk getting blocked or stuck too early on),and then we sculpted the sentences into verses, adding words or removing them to make each phrase scan and fit with the melodies that were evolving as we went. The landscape that it used to be is now Chinatown – busy and free! Broome’s become a place for people to stay. We gaze at the sun with everyone. 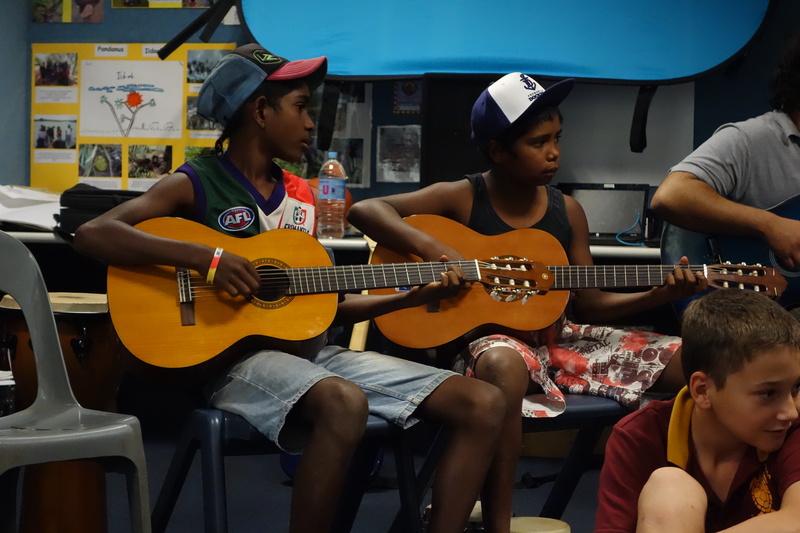 The theme of Broome’s multicultural community arose because of the many different cultures represented in the choir population. There were several that didn’t get included in the song – Filipino, Indian, Maori, Japanese. An interesting discussion emerged when the different lyric-writing groups came together to share what they’d written and set it to music. One or two people raised concerns about the accuracy of what had been written in the first verse, with regard to the idea of “laws”. After this there was no more discussion about the first verse of the song. Later, the teachers expressed their interest in the conversation, and in the lyrics that were written. 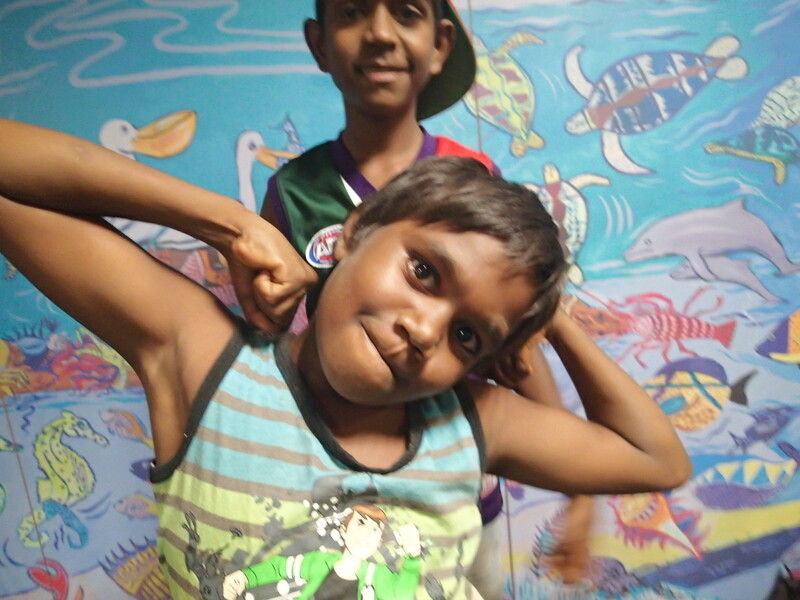 They said wryly that there would certainly be people in the Broome community who would take issue with the line, “it was a very bad and awful time”. Here in Australia, that is what is often called a “black arm band version of history” (ie. a version that focuses on negatives, rather than seeing the colonial era as a time of prosperity and important growth) – particularly by the previous Liberal-National Coalition government. 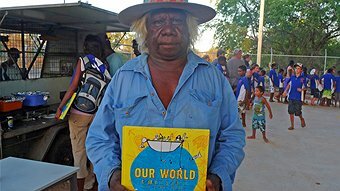 I don’t hold with this view at all – colonial eras may have been prosperous times for some, but for the colonised, they were times of frequent brutality, force, coercion and extreme differences in power, when traditional ways of life were destroyed or hugely compromised and traditional knowledge and skills were undermined. By the end of the day our song was ready to be recorded. 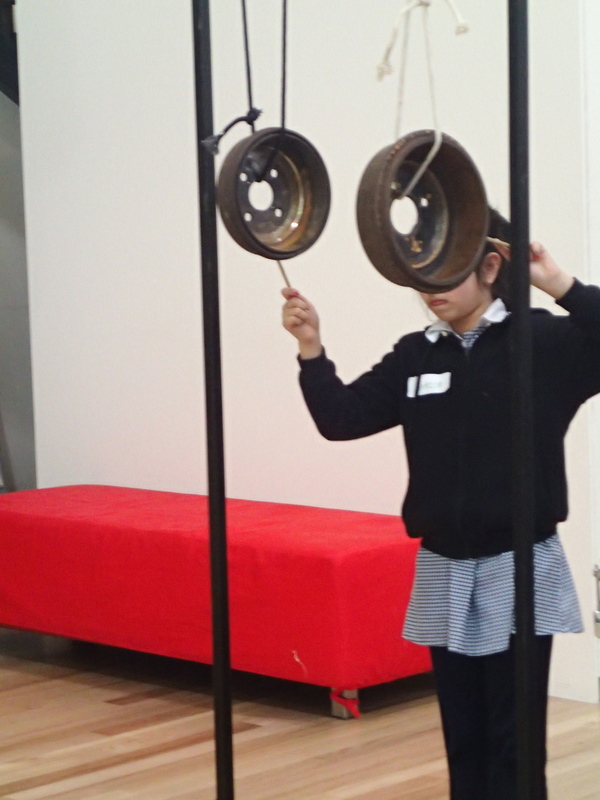 In the recording we made on the portable Zoom H4n, you can hear the school bell ringing in the second-last chorus – we took it right up to the wire on this project! 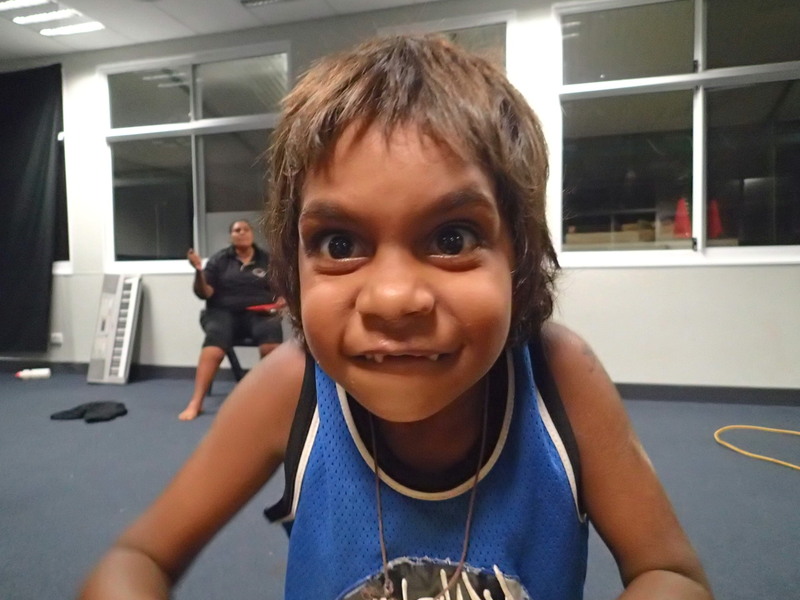 Thursday morning we did another media call, then checked out of the hotel and hit the supermarket, stocking up on supplies that we wouldn’t be able to buy in the remote community shops. Then we hit the road. 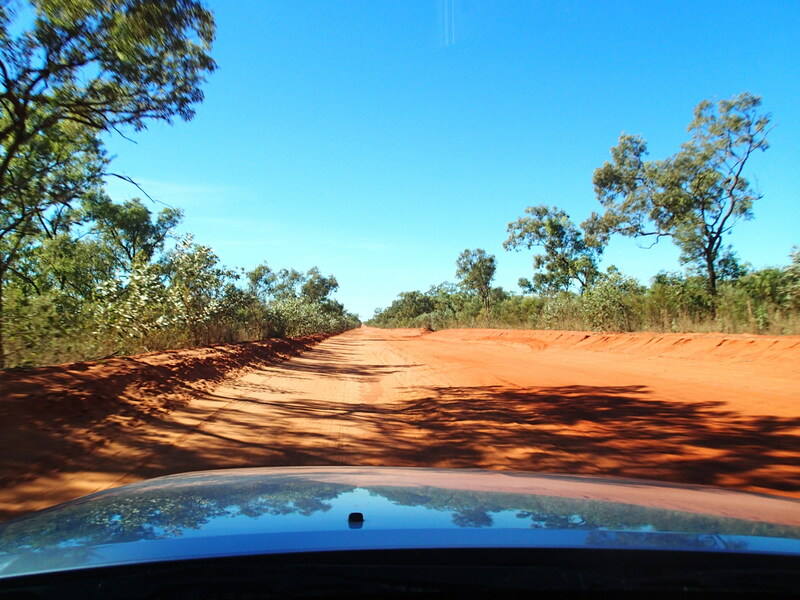 To get to the Dampier Peninsula drive to the outskirts of Broome, then turn left on Cape Leveque Road. This road is unsealed for most of the way, and was closed all of last week due to heavy rains (unseasonal rains – this is supposed to be the Dry Season). The road runs long and straight for kilometres at a time. Low scrub covers either side of the road. We passed a few vehicles – this is not as remote as many other communities, and the road is quite well-trafficked. Still, I wouldn’t want to drive it every day. Thick soft red sand is the surface in some parts, and there were some sudden pot-hole surprises where the road surface had washed away. It’s not an easy drive and you can imagine it wouldn’t take much to roll your car if you weren’t familiar with the conditions, or taking things carefully. 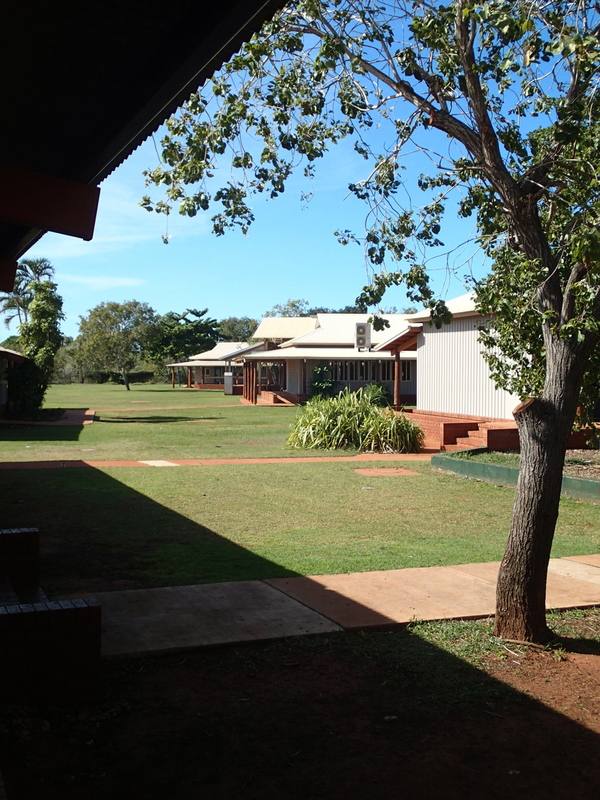 Djarindjin-Lombadina is a very pretty community. 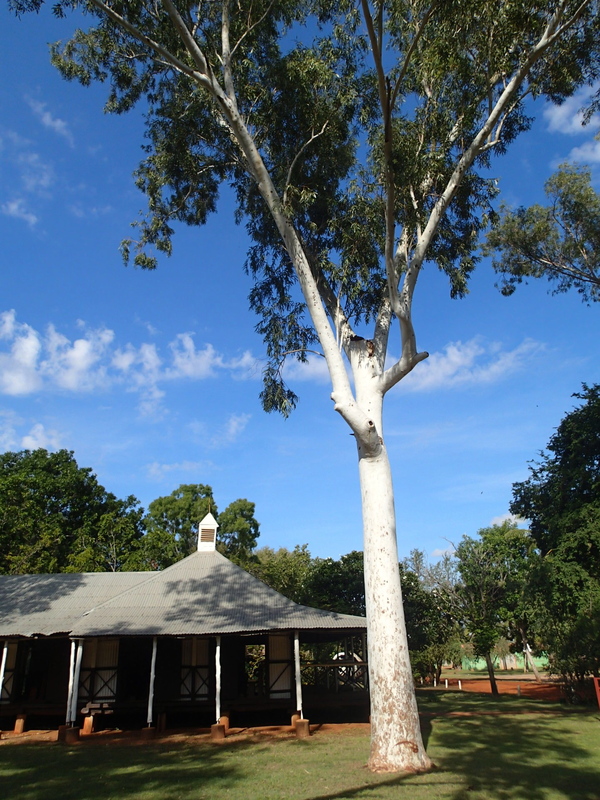 Lots of green grass and graceful, majestic white gum trees. The roads throughout the community are unsealed, and curve their way around the different dwellings. 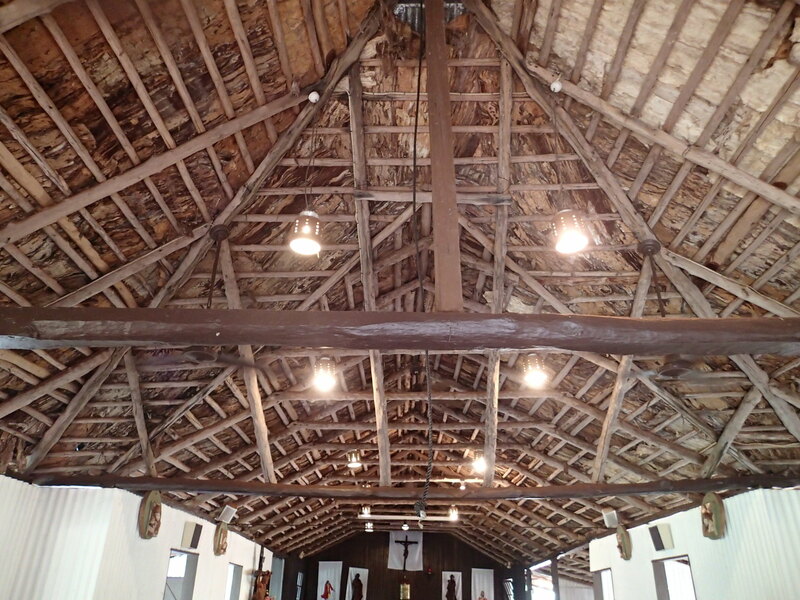 This was an old church mission, and the local church is made of paper-bark – one of the last remaining examples of its kind. It celebrated its 100-year anniversary last year. 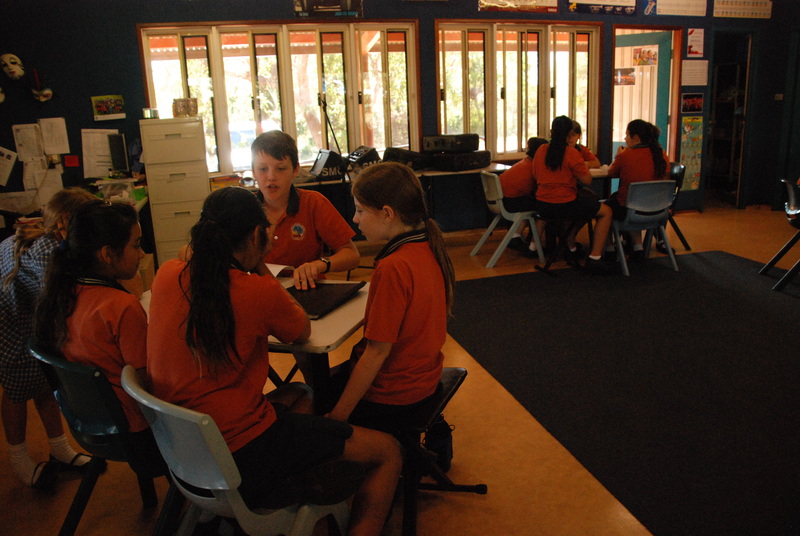 We led a workshop on Friday morning with the senior class in the community school – students from years 7-10. 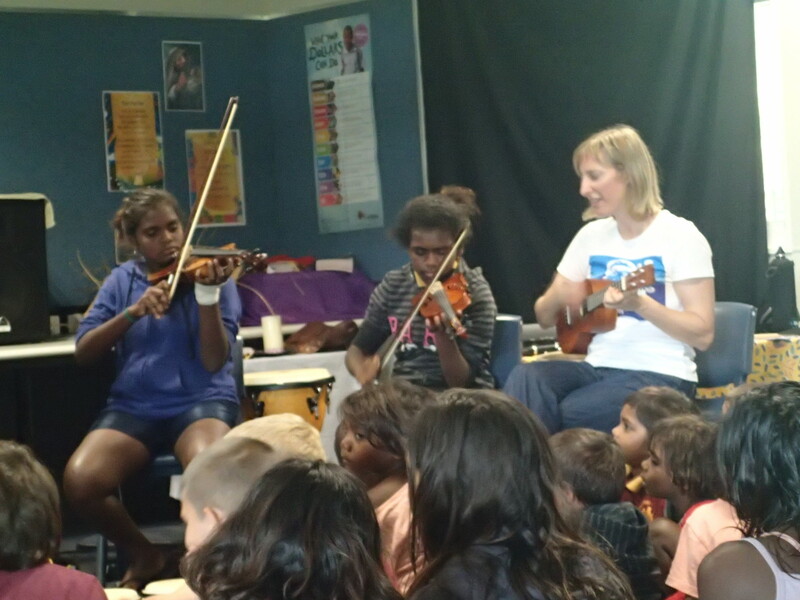 It was a small group on Friday, around 8 kids, and after doing some rhythmic warm-up tasks we moved quickly onto the instruments for a jam. I’d brought a set of alto chime bars with me, and two members of the group used these to create some melodic material that acted as an ‘anchor’ for the improvisation. School on Friday ends with a whole-school assembly, so this was the perfect chance for Tony and I to be introduced to everyone in the school. 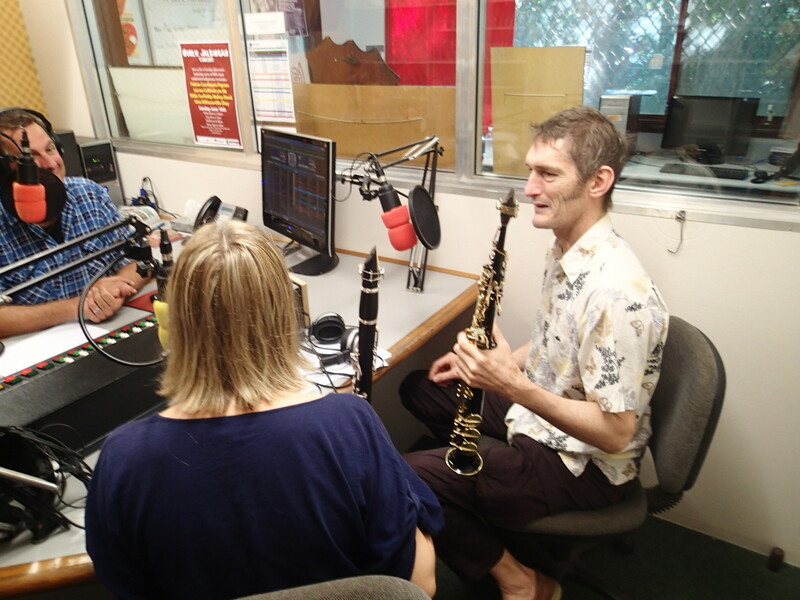 We played a short improvised duet on the clarinet and saxophone, demonstrating our instruments and the sorts of sounds they can make, as well as the idea of improvisation and creating our own music (which is the primary intention of these residencies). Then I taught a song to everyone, a spiritual that I learned quite recently. It has three parts – we learned the melody today, but I have plans to get the whole school singing in three parts by the end of our residency. In the evening, some of the teachers from the school invited us to join them at the beach to watch the sunset. It’s a drive there over the dunes (if you look up Darindjin-Lombadina on Google maps you will see a whole lot of white stuff – that’s all the sand dunes that you have to cross to get to the beach). Sunsets are legendary in this part of the world. Every night it is an extraordinary display of colours, offset by shimmering ocean, so we joined the teachers in what appears to be a regular ritual of Friday night fishing (none of us caught anything, but it was a great way to watch the sunset) and star-gazing.